Veritone's white-label Digital Media Hub may be customized to any user's brand and style. With Digital Media Hub, rights holders can offer secure, cloud-native global access to their content to key stakeholders — including news media and corporate partners — and monetize their content via e-commerce functionality. 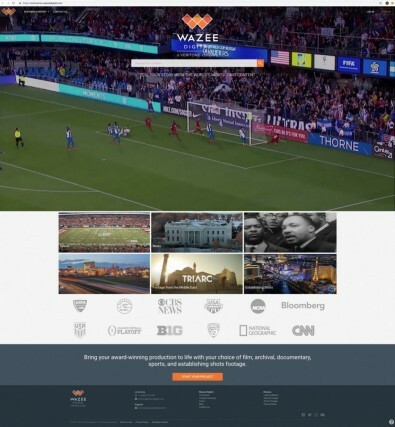 Through a live simulation, Veritone will show how Digital Media Hub and aiWARE support the company's unique Live Event Services offering, which features a team working on site at an event to ingest and tag content. The combination gives rights holders a means to cognitively enrich metadata from the host broadcaster at their event in near-real time, making these critical assets available for immediate access, delivery, and monetization. 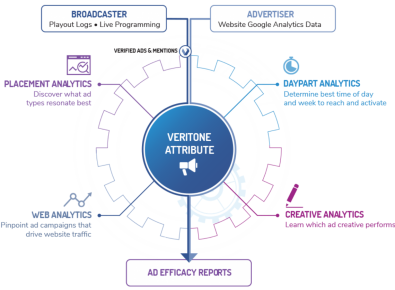 At the conference, the company will also highlight how Veritone Attribute helps both radio and television broadcasters demonstrate advertising efficacy for their customers by correlating the traffic on the brand's website to ads that have run on the broadcast networks. Attribute leverages artificial intelligence to measure the effectiveness of not just prerecorded spots, but live reads and organic mentions as well. Lastly, the company will highlight Veritone Content Licensing Services, a managed service for rights holders who need full monetization of their content. Whether working with a small- to mid-sized producer or a large media company, the solution helps rights holders increase the value of their content through monetization.